The funding enabled the curriculum extension programme to be provided collectively to talented students from across a range of schools who would not otherwise have had the experience provided at their individual schools. The programmes held during 2017 were in creative writing, debating, zoo enrichment, art, dance, chemistry forensic science and music production. 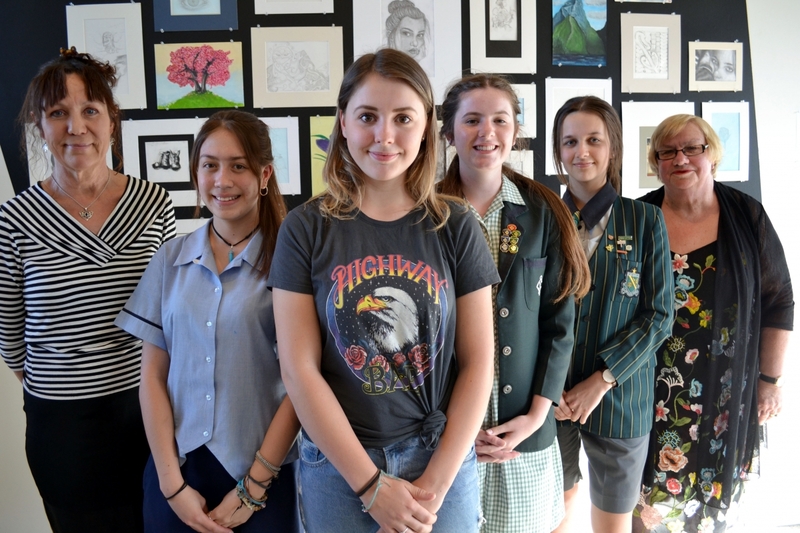 The three-day art programme held at Masterton’s King Street Artworks for fifteen Year 9 and 10 students resulted in a stunning exhibition of the students’ work at Aratoi in November 2017. The creative writing programme produced a published collection of short stories written by the students - ‘Trust in Young Peoples’ Creativity’. MTLT education coordinator, Colleen Douglas said the students had been wonderful to work with. “They showed tenacity and a willingness to try new things as part of this programme. They enjoyed the challenges offered and worked hard to ensure their creative works were completed to a high standard. “The extension programme would not happen without the support of the principals and the enthusiasm and organisation of the school coordinators,” Colleen Douglas said.